The Architectural Work of Le Corbusier is a serial site with 17 locations located in 7 different countries on 3 different continents which celebrate the work of 20th-century architect Charles-Édouard Jeanneret, aka Le Corbusier. To date, I have only visited Maison Guiete in Antwerp and the Petite villa au bord du lac Léman. As with most serial sites, I will be visiting more of the locations which make up the site as I continue to travel. As of January 2017, the home is not open to the public or visitation. As it has only recently be inscribed to the world heritage list, there is nothing on the outside of the building which indicates its world heritage status. There are no signs or plaques indicating that it has world heritage status. Like the Stoclet House in Brussels, all you can do it stand outside and take photos. My cab driver (shown in the photo) had no idea about the importance of the house. My visit to Petite villa au bord du lac Léman was a much more meaningful visit than my previous visit to Maison Guiete. The property is right off of the main highway along the lake outside of the city of Vevey. The house is very small and was originally designed for Le Corbusier’s mother. She lived in the house until she died at the age of 100. 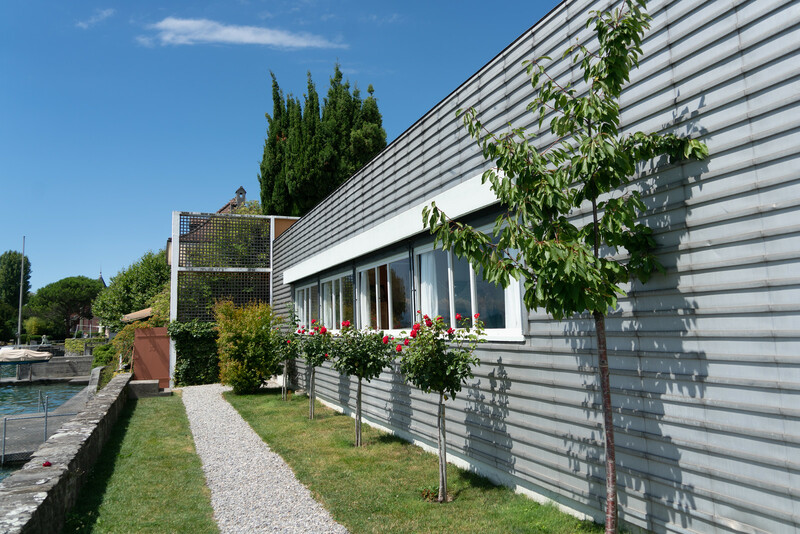 The house is situated on the shore of Lake Leman and incorporates many features which are commonplace is homes today, but were revolutionary at the time of its construction. The Architectural Work of Le Corbusier is a cultural UNESCO World Heritage Site. It was inscribed in 2016 and is attributed to several countries including Argentina, Belgium, France, Germany, India, Japan, and Switzerland. This UNESCO property consists of 17 sites in total, all of which are attributed for the work of Franco-Swiss architect, Le Corbusier. The sites are recognized for their architectural value due to the ability to exhibit modernism and its application in construction. It was also the best way to showcase how modernism had a global reach in terms of being an architectural style. The Maison Guiette is one of the 17 architectural structures that are named into the UNESCO site The Architectural Work of Le Corbusier. It is also commonly referred to as Les Peupliers. This is a house that is located in the city of Antwerp in Belgium. The house was designed by Le Corbusier in 1926. The construction for this house started in 1927. Maison Guiette served as the personal studio and living quarter of Rene Guiette, who had commissioned for this house to be built. He was a painter and art critic. 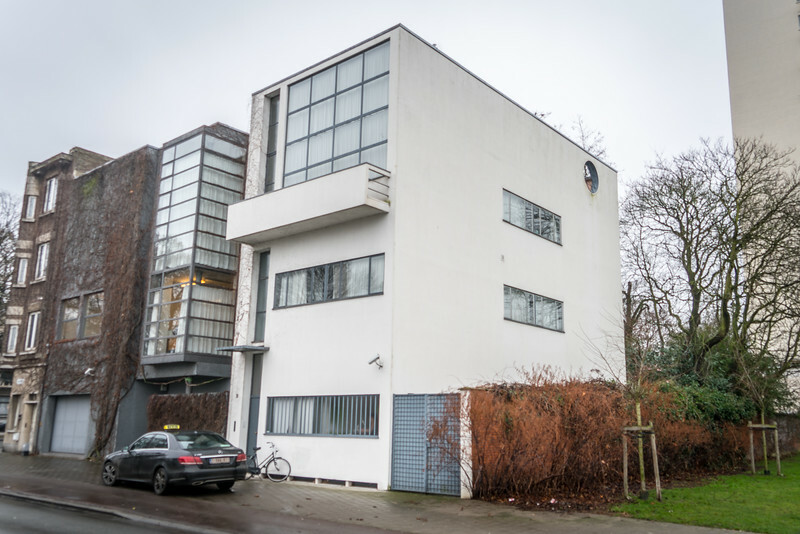 This house in Belgium is one of the lesser known works of Le Corbusier. However, it is recognized by UNESCO for its ability to exhibit a modern but international style. Since the UNESCO property was just recently inscribed, and since many of the architectural structures are off-limits to the public, it is difficult for tourists to fully appreciate the significance of The Architectural Work of Le Corbusier as a UNESCO site. However, those who are part of or are familiar with the international architectural stage, Le Corbusier is a famous name. He is recognized as a pioneer and trailblazer within the industry. Le Corbusier was born as Charles-Edouard Jeanneret in Switzerland in 1887. He adapted his now-famous pseudonym in 1920. Since then, this name has become popular in the world of architecture. His influence is so far-reaching that he is considered as one of the most influential representatives of modern architecture. His works serve as proof to the exchange of ideas from all over the world that shaped his ideas about architecture. For 5 decades, he has broken the norm and introduced modernist architecture in an international scale. These sites are truly magnificent…reasons to travel there. that’s great! Hit me up at m.aristia (at) gmail and we’ll go for a beer! Hi Gary! I’m a huge fan of your work, both in blogging and photography. Also of course listen to the podcast. I live in La Plata, Argentina. Was also born and raised here. But haven’t been to Casa Curutchet yet, can you believe? If you ever come down this way, let me know! I will be passing through Buenos Aires in October on the way to Salta! Le Corbusier is one of my favorite architects! A true visionary. Although some of its buildings are beautiful, I’m not sure if they’re so comfortable – at least for its houses.